How do I create my students' accounts? We recommend you do this during the first class. And there are a few options you can use. Options 1 and 2 are the most commonly used options. You can login with that account and it will auto populate the classes with students names and the students can use their Google Classroom accounts to login. Instruction for how to do that are here. When students open the Makers Empire App for the first time they will select 'new account' then they will walk through 2 very simple tutorials that will lead them to a page where they will enter their 'Class Code'. The 'Class Code' is written in the Teacher's Dashboard underneath the name of the class. See image below. This is what we recommend most often. a. In the Teacher's Dashboard, select a class and click on the pencil/edit icon. b. Select 'Use QR code to login'. c. The QR code for that class will appear on your screen. Print it out for your class. d. When students first open the app, the screen where they have the option to create a new account, will have an option to login via QR code. They can scan the QR and get logged in. 4. You can add students using a csv file. 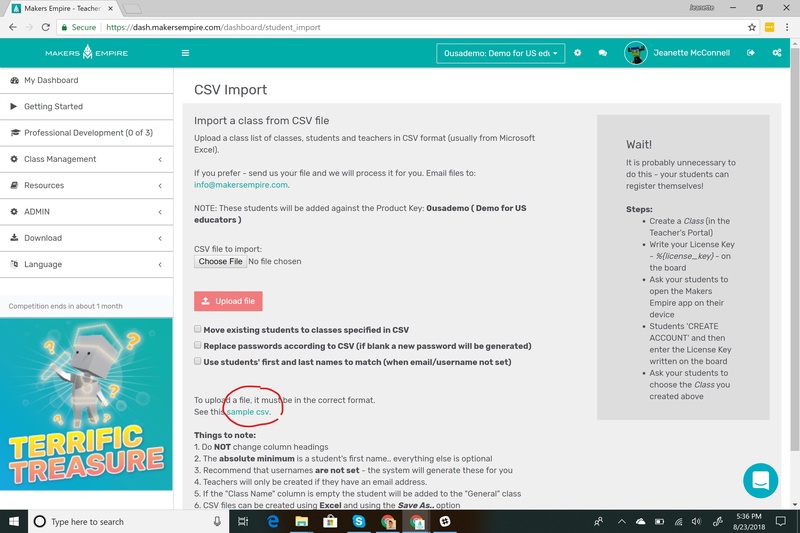 If you don't think you students will be able to add themselves then adding the students in bulk via a csv file is the easiest way you can do it for them. See below for instructions. a. 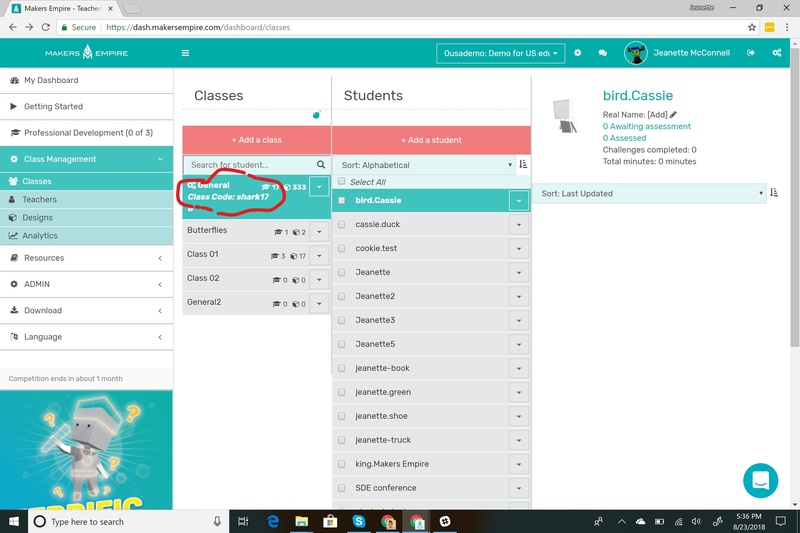 Next to the class you want to add students to there is an arrow. Click on it. You can print out username and passwords for yout students. It's also good to note that you can print out small cards for your students that has their username and password on it.